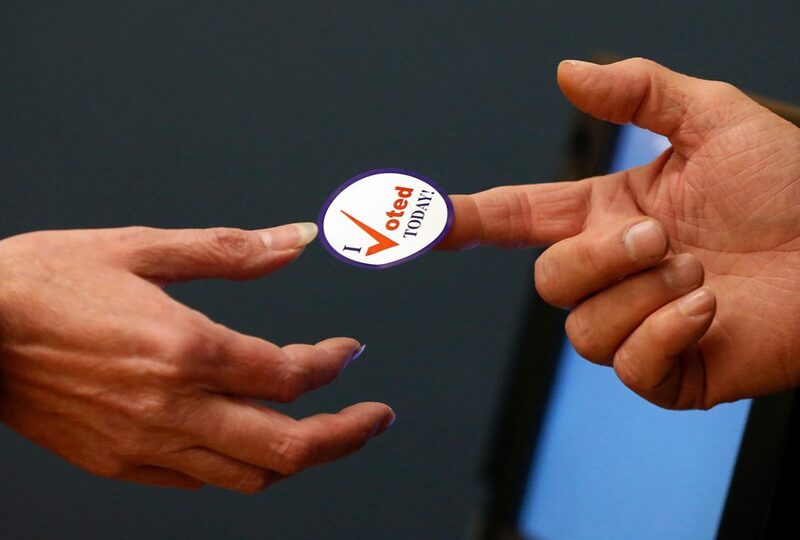 Voters will choose a new governor and legislators, as well as answering 5 statewide ballot questions and weighing in on the balance of power in Congress. 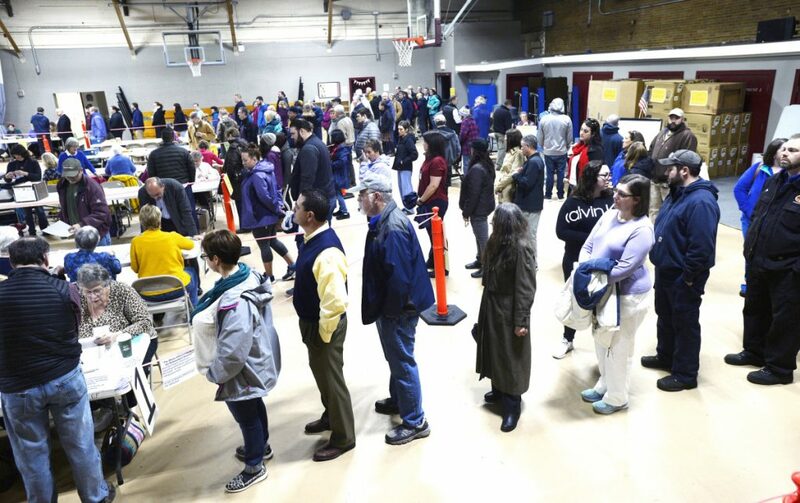 Mainers overflowed polling places throughout the day Tuesday to cast votes in a historic election amid a national battle for control of Congress and a race to replace outgoing Gov. Paul LePage. 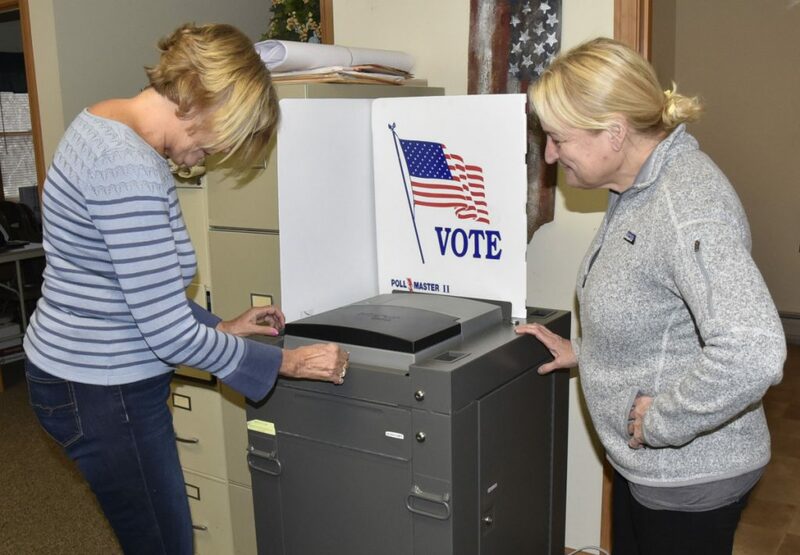 Final turnout numbers were not known late Tuesday, but Secretary of State Matt Dunlap said he was sticking with his pre-election forecast of 65 percent turnout. 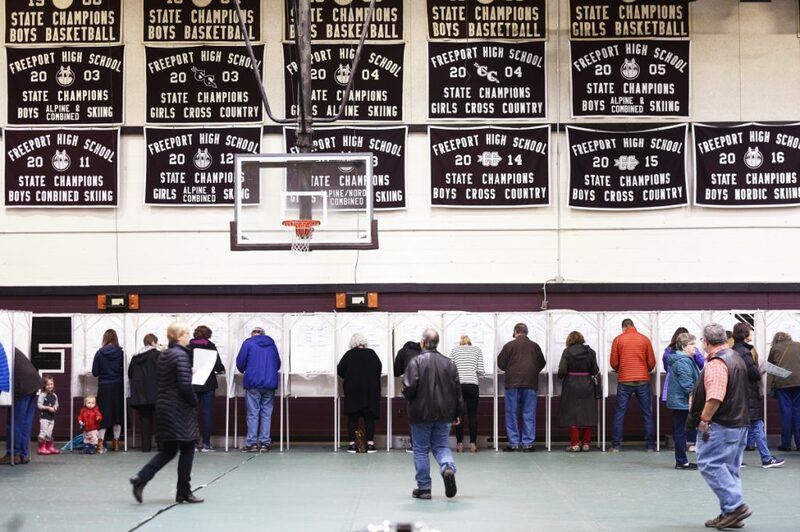 That would likely to be one of the largest in the country and it would shatter the record participation rate for a midterm election in Maine. 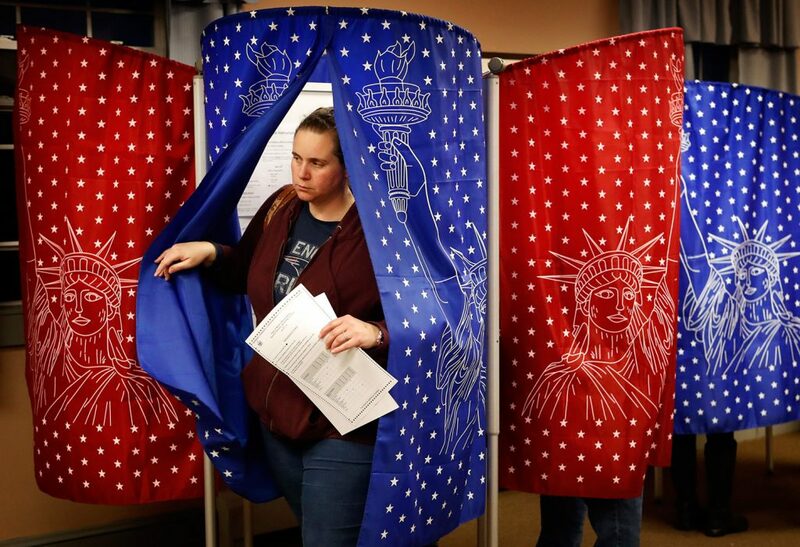 The turnout four years ago, 59 percent, was the largest midterm election turnout in recent history, and in the 17 midterm elections since 1948, the average turnout was 51.42 percent. 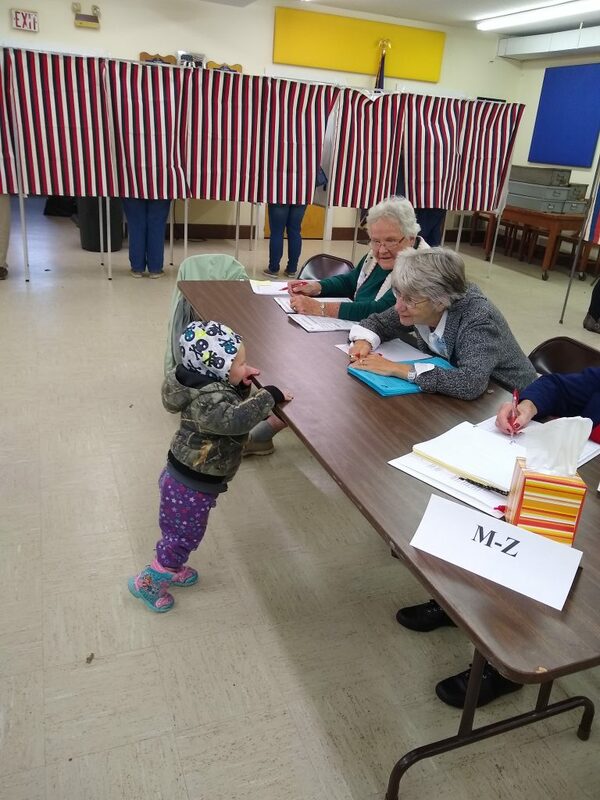 Maine has exceeded a 70 percent turnout only four times in the past 70 years, and each was during contentious presidential elections. 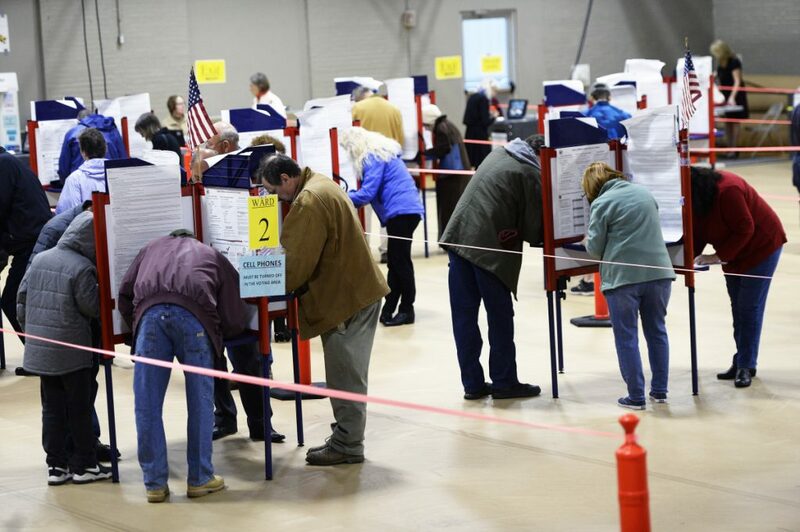 The heavy turnout delayed vote counting throughout the state. 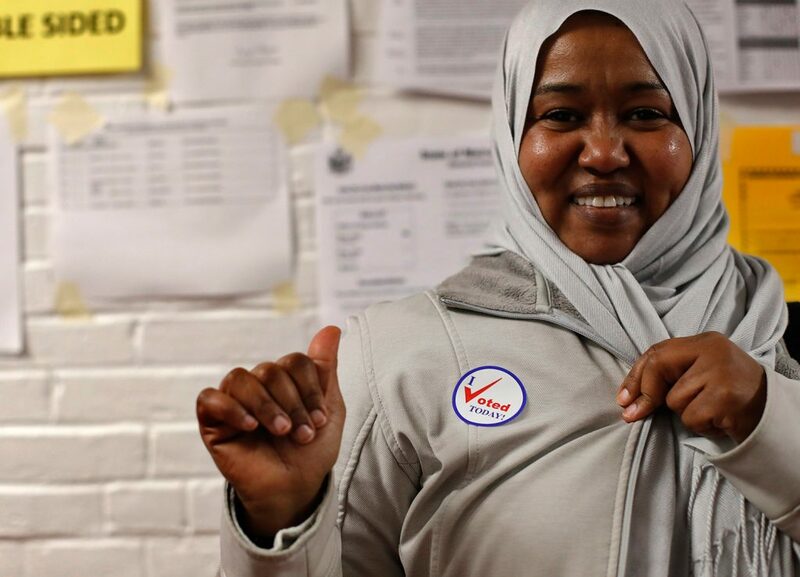 Polls closed at 8 p.m., but voters in line were allowed to register and to vote and tabulations didn’t start until all the voters at the polling places had finished casting their ballots. 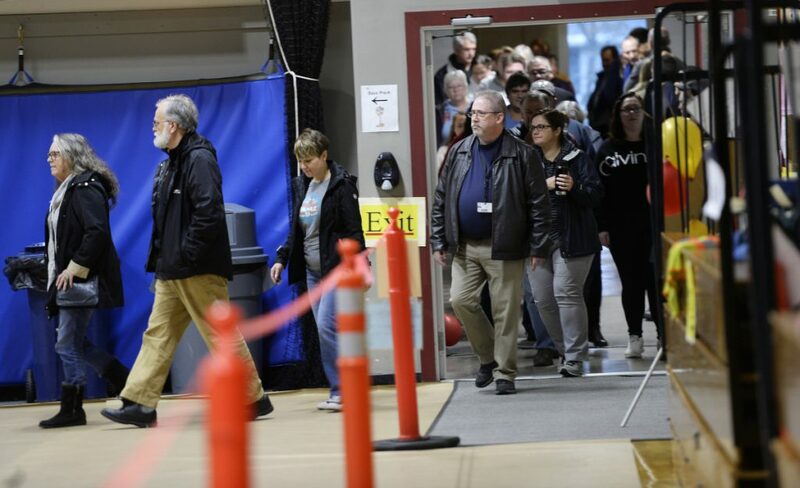 Portland results were further delayed because one polling place stayed open until 9:30 p.m. after a traffic accident made it difficult for voters to get to the polls to cast a ballot before 8 p.m. 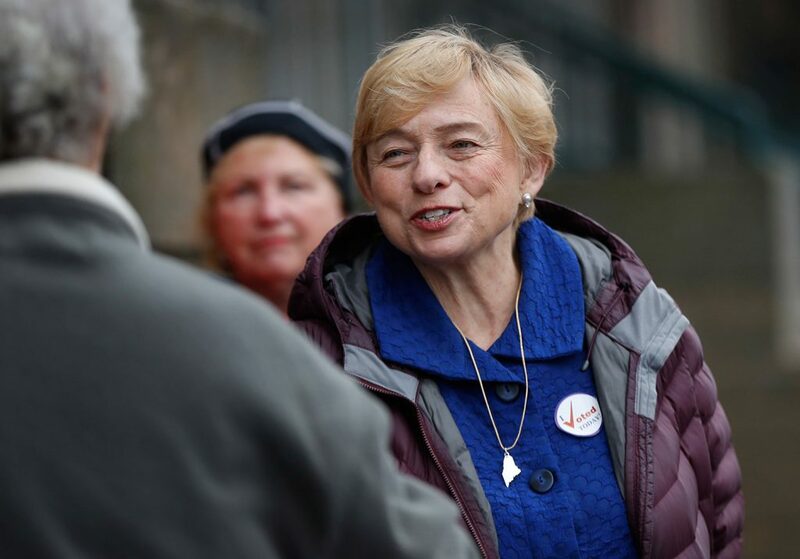 The strong Maine turnout was driven both by an open governor’s seat and the high general interest in the elections, given “the national dialogue that’s gone on around the Trump Administration,” Dunlap said. 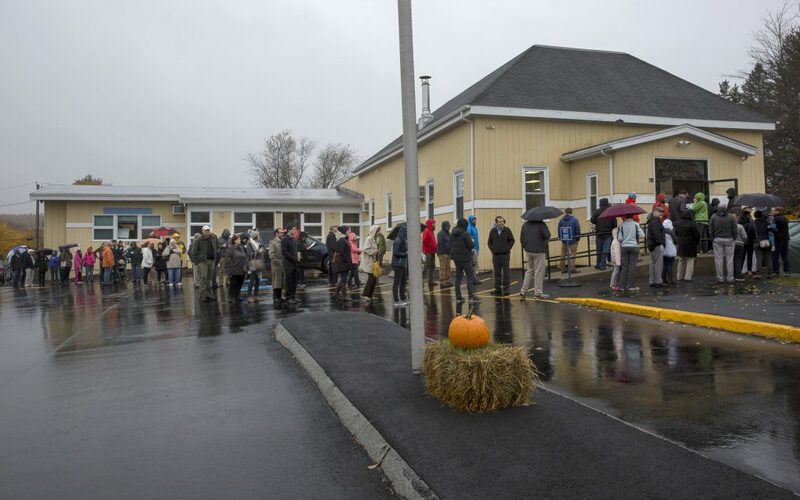 Long lines greeted voters Tuesday at many polling places in southern Maine. 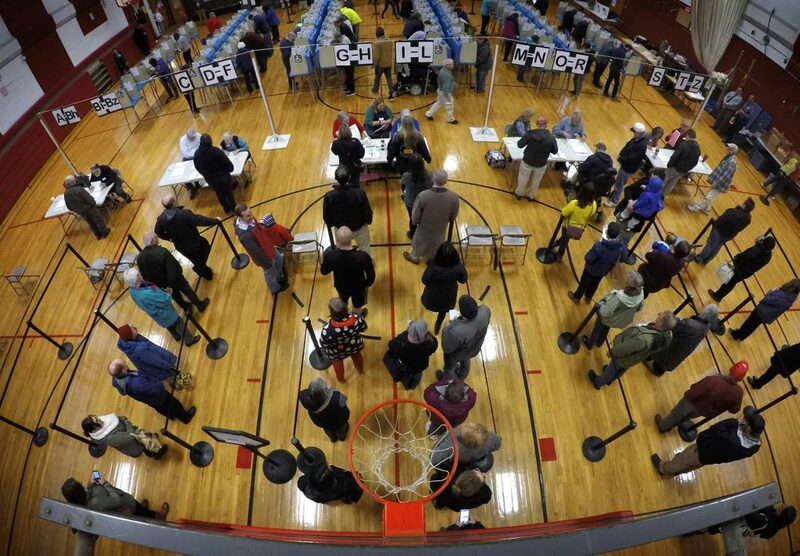 In some places, voters spent an hour or more waiting to cast their ballots. 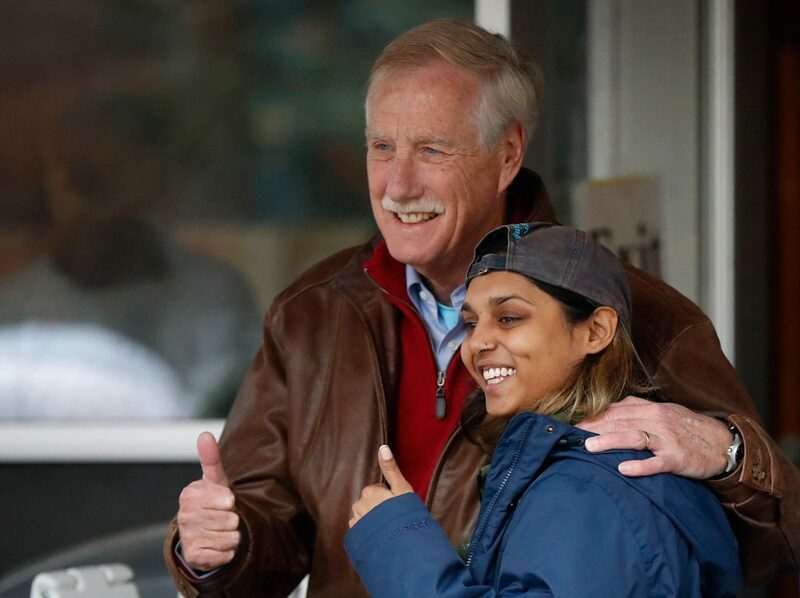 Dunlap, who toured the state to keep an eye on voting, saw a long line in Merrill Auditorium in Portland late Tuesday morning and knew it would be a big day. 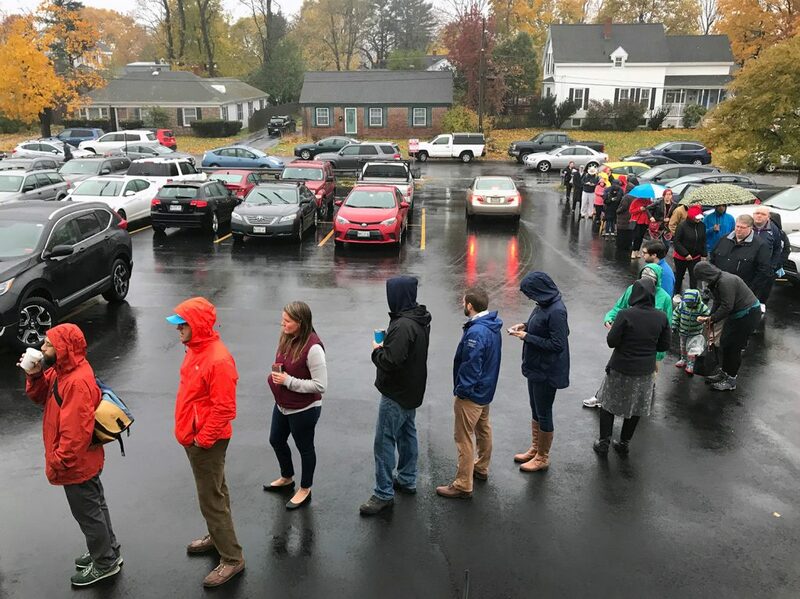 “You expect heavy turnout early in the morning and then after work, but throughout the day to see lines, that tells you we’re having higher than usual turnout,” Dunlap said. 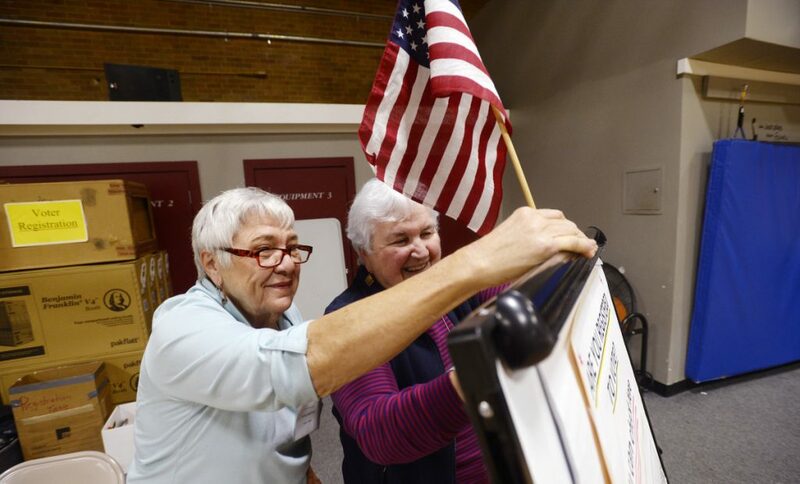 Rep. Lois Reckitt, D-South Portland, knew something unusual was happening when she went to the Boys and Girls Club in South Portland to greet voters early Tuesday and found she had missed about 150 voters. Reckitt said she has been a candidate or a volunteer poll worker at the Ferry Village location since the 1970s, and she’s never seen it as busy as Tuesday. 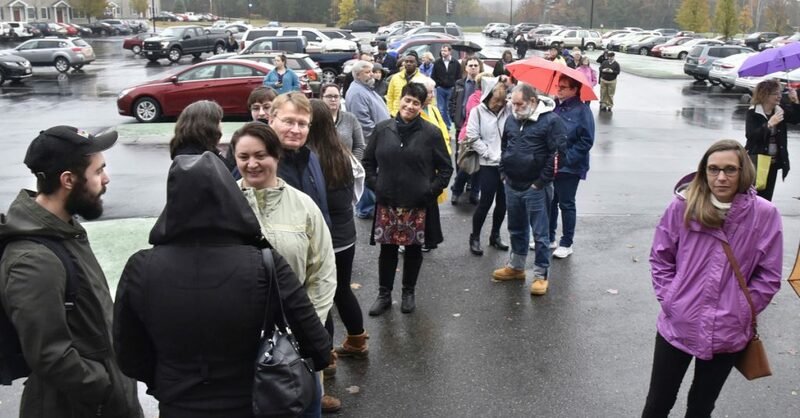 Ciera Lazarus, 24, went to the Exposition Center in Portland Tuesday morning, undaunted by the crowd waiting to cast ballots. “If I want to make change, I’ve got to get in there,” said Lazarus, pointing to the line of waiting voters. 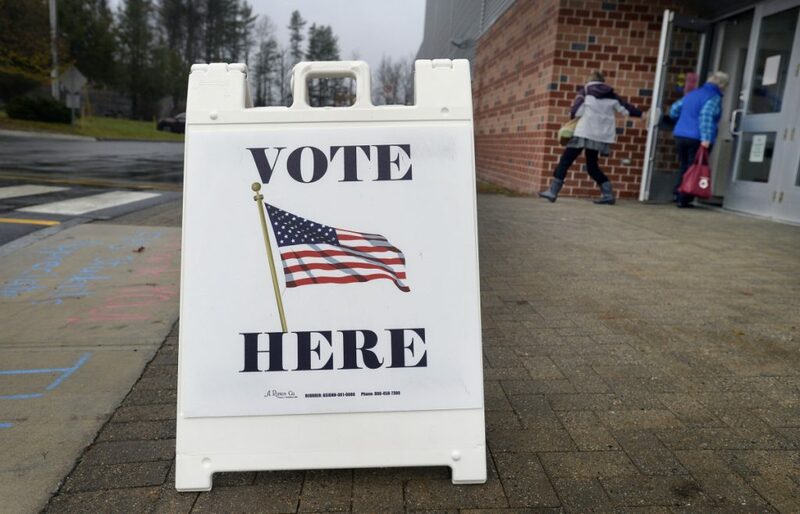 Besides choosing a new governor and Legislature, answering five ballot questions and settling races for Congress that could help determine the balance of power in the U.S. House and Senate, many Maine voters also were drawn to the polls by local races and issues, ranging from school improvements to moratoriums on marijuana businesses. 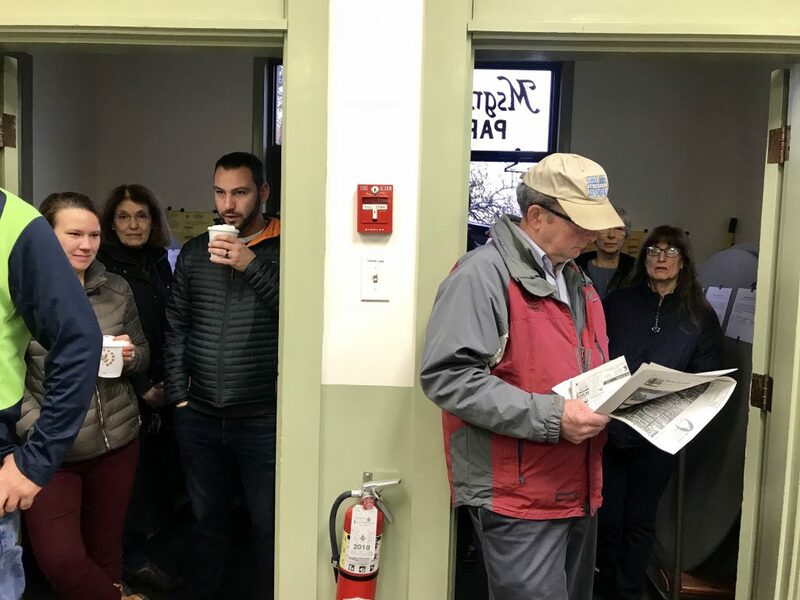 Even before the first polls opened at 7 a.m., lines stretched out the door and into the misty rain in communities including Buxton and Cape Elizabeth. 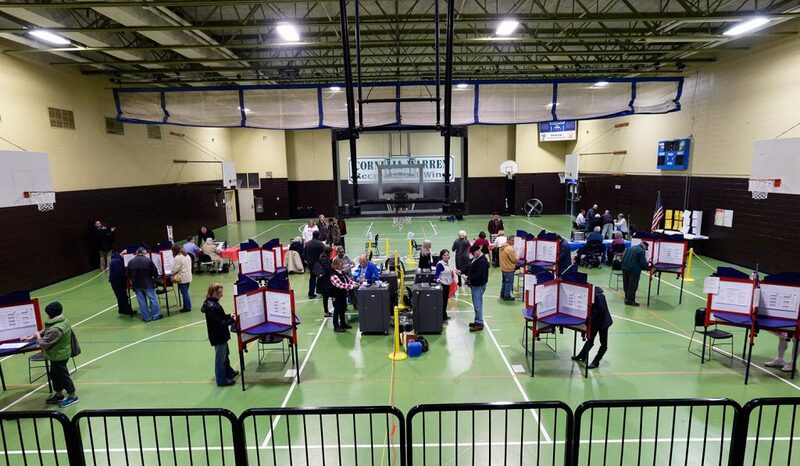 Heavy turnout in Berwick and South Berwick snarled traffic and clogged both downtowns in the hour after polls opened. 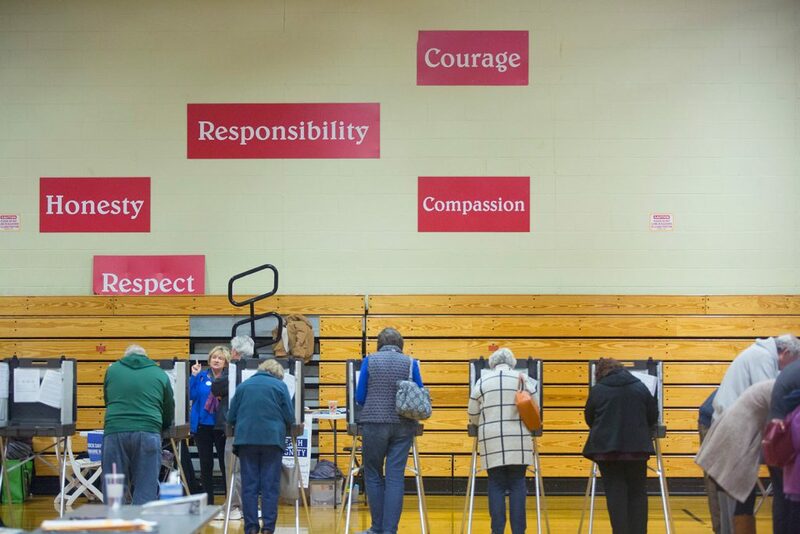 More than 600 Kennebunk residents voted between 6 and 8 a.m., breaking the town’s previous record of 208 votes in the first two hours after polls open. 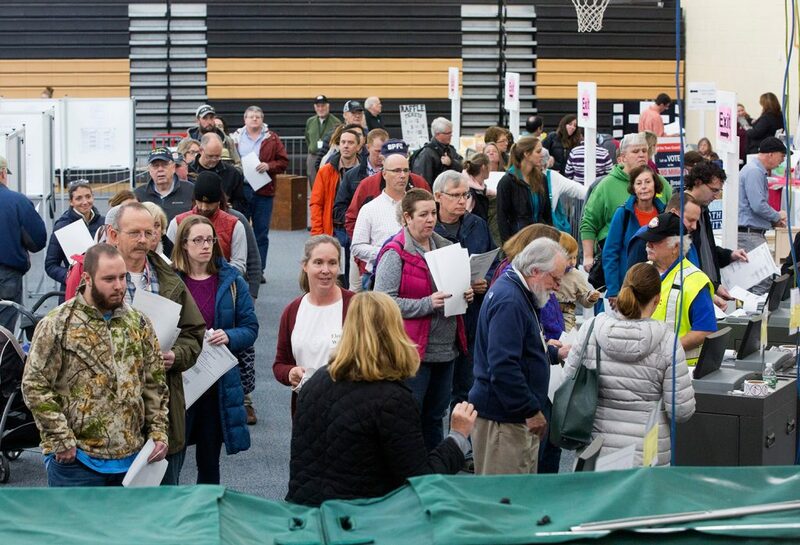 The crowds on Tuesday were even more remarkable because of the increase in early voting in Maine. 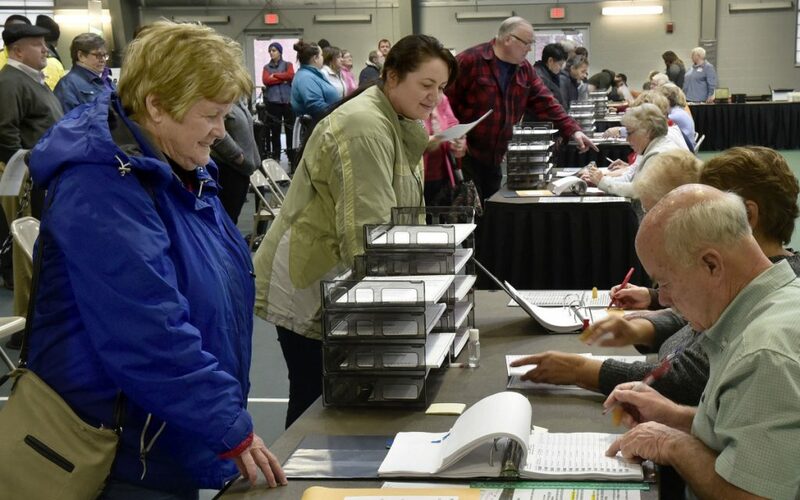 Even before election day, about 174,000 Maine voters had returned absentee ballots by 4 p.m. Monday to their local election officials, about 17 percent of all registered voters and a 32 percent increase from the last midterm election in 2014. Dunlap said there were scattered problems with the voting, with 21 towns reporting issues. Most, he said, involved glitches with the vote counting machines and Dunlap’s office sent out technicians to fix the problems. On Harpswell neck, drizzle and fog did not deter voters. She said she was especially impressed with the number of young people who registered to vote in this election. 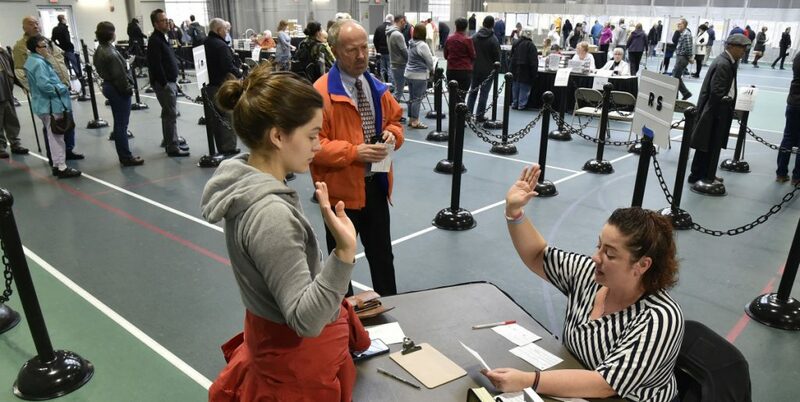 Ariana Purington, a student at Southern Maine Community College, stood in line at Brunswick Junior High School to vote, clutching the registration card she’d just filled out. 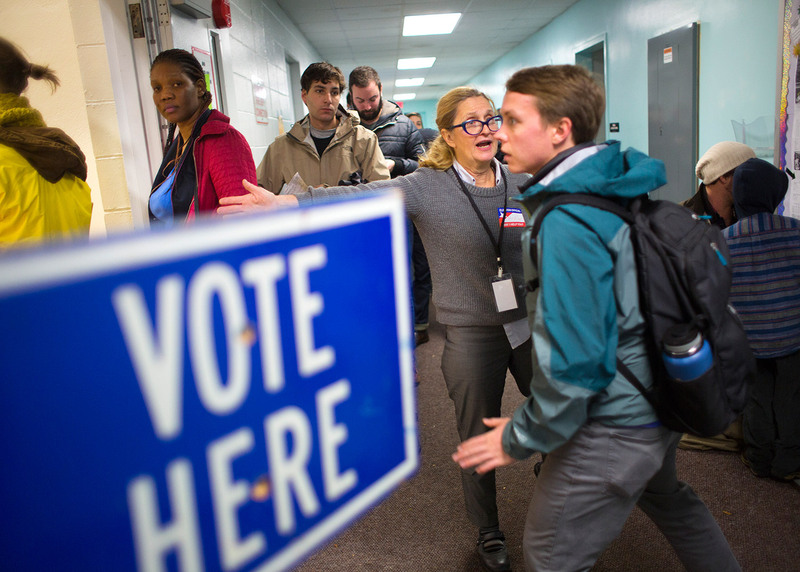 It was the 18 year-old’s first opportunity to vote and she wasn’t about to miss it. 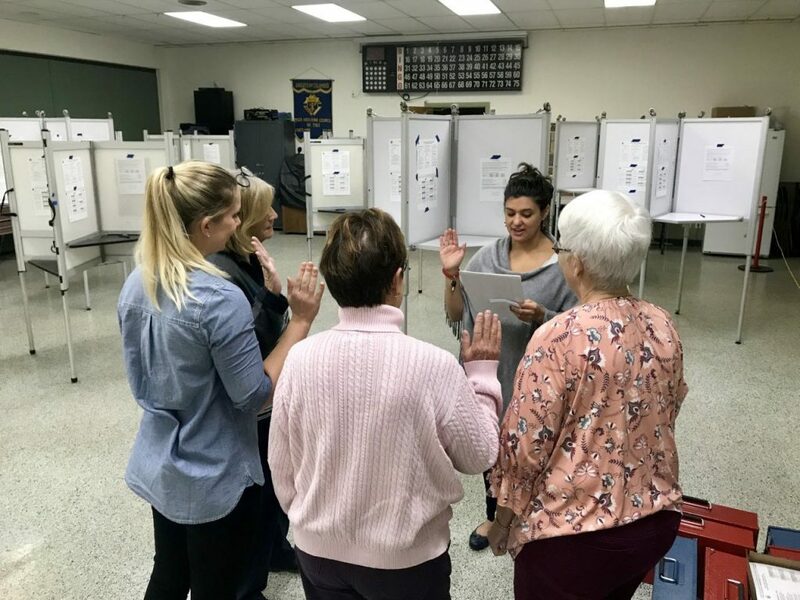 Even with long lines in Brunswick – with waits to pick up ballots of up to 20 minutes even after the pre-work crowd of voters had come and gone – Purington said it only took “two minutes” to get registered that morning at the junior high. One Democrat in particular inspired Purington. Luke Stone, a 45-year-old Westbrook resident, wasn’t as enthused about the candidates. “They say a lot, so you never know if they’re going to follow through,” he said. Still, he came to the city’s community center to cast his ballot. “I can’t complain about election results if I don’t vote,” he said. Heather Boucher, 51, said her dad made her promise to vote in this election. As she left her polling place in Portland, she planned to call him and show off the “I voted” sticker on her backpack. Both are Republicans, and he wanted her to be counted in competitive races on the state ballot. 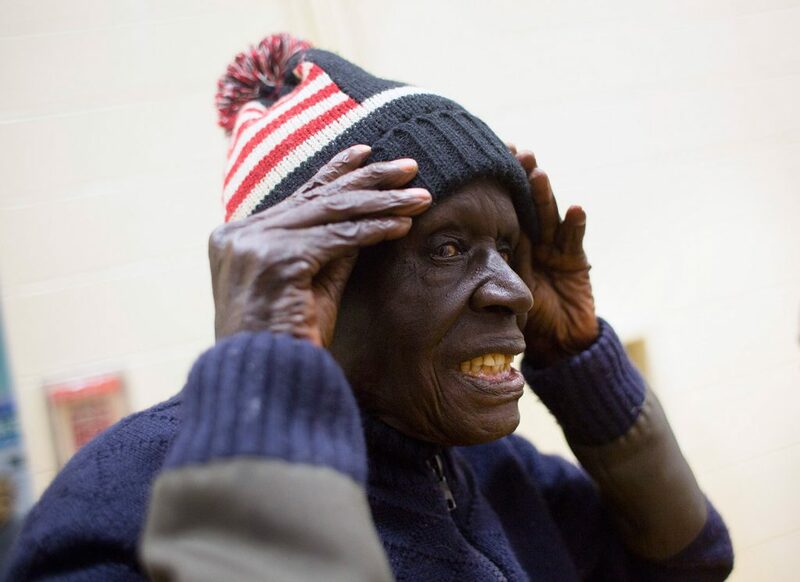 “I think the people who put out negativity are not responsible citizens,” she said. Ciera Lazarus and Samuel Fessman, both 24, also made a pact to vote this year. They went to the Exposition Center in Portland together Tuesday morning. Both supported Democratic or independent candidates, they said, and they were most interested to see the results of the close governor’s race. Daniel Ueblacher, 65, chose Republican Shawn Moody for governor. 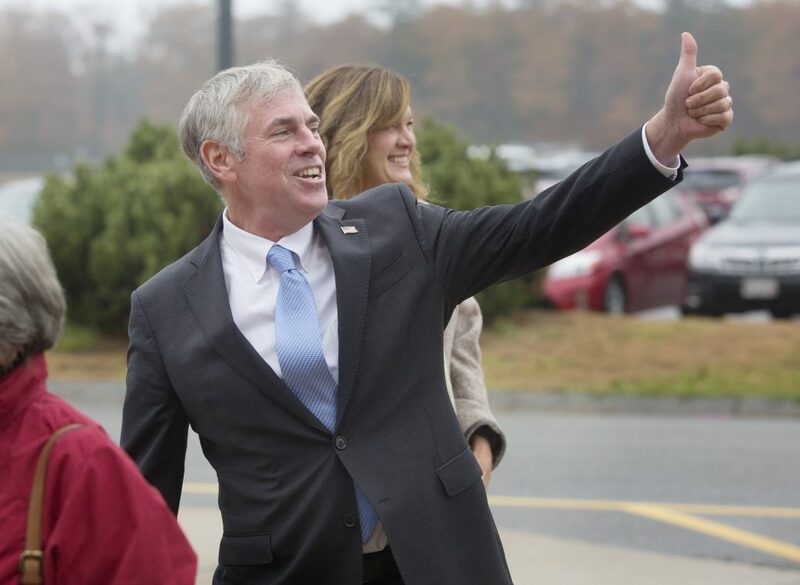 Having recently moved to Maine from New York, he said he expected the campaign season here to be “more pleasant” than in his former state, but he did not find that to be true. “I got tired of the television ads,” Ueblacher said. 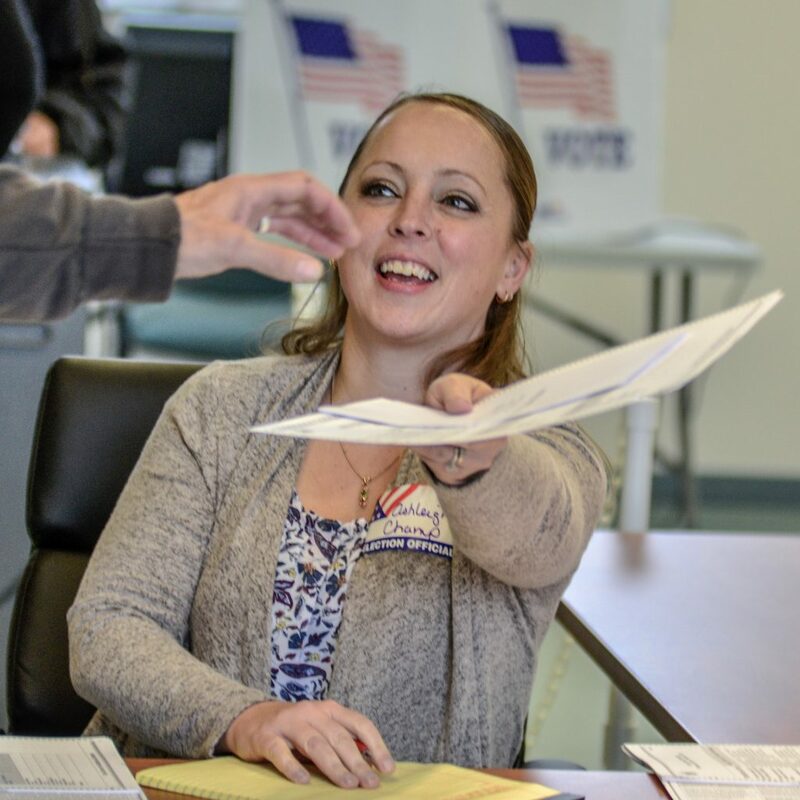 Nancy Zimmerman adjusted her “I Voted” sticker outside her polling place in Westbrook. She said she felt like people she knew were more engaged in this election. “I see it a lot more on my Instagram and Facebook,” she said. Dunlap said there were some reports of technical problems with voting machines, but nothing was affecting peoples’ ability to vote. 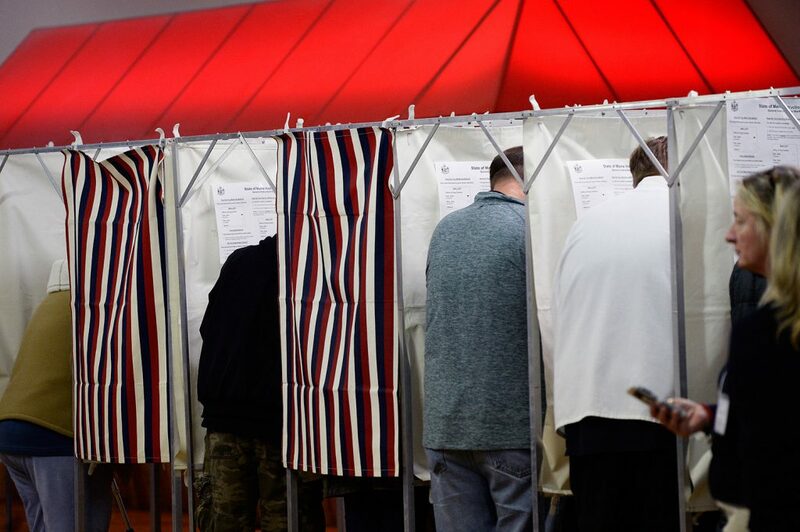 All Maine polls will close at 8 p.m.
Maine residents 18 and older can still register to vote, even on Election Day. 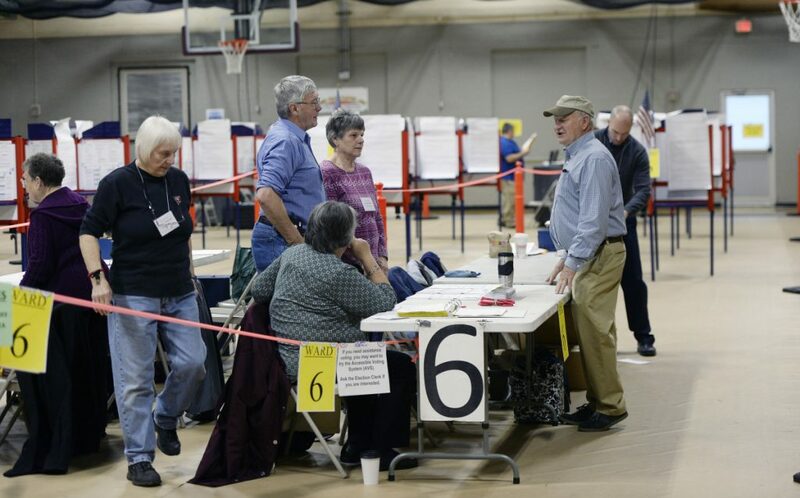 More information about all the decisions facing Maine voters Tuesday can be found at pressherald.com. 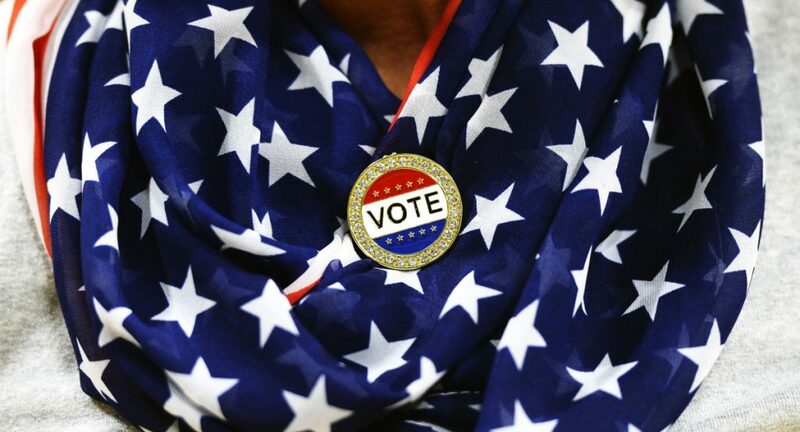 Use of the website is free leading up to and during the election, and it features a tool that allows readers to easily read about the races on their state and local ballots. Also watch pressherald.com Tuesday night for live election results from Maine and around the country. Staff writers Gillian Graham, Bob Keyes, Mary Pols, Eric Russell, Carol Coultas and John Richarson contributed to this report.